Today, August 22, 2017, the day after the Great American Solar Eclipse, most of us in Philly woke up to the news of a train accident. A sigh of relief could almost be heard across the city as we found out that this accident was nothing at all like the 2015 Amtrak accident which left hundreds of people injured when it derailed at over 100MPH. While train accidents can cause serious injuries and death, thankfully, today’s accident resulted in zero fatalities. The accident does come short on the heels of a separate SEPTA accident which occurred just months ago. That one was in Upper Darby at the 69th Street terminal, and so was today’s. According to a passenger interviewed by CBS Philly, the high speed trolley had missed the Gulph Mills and Bryn Mawr stops and had to reverse to get to them shortly before the crash. The collision itself took place around 12:10AM when the trolley smashed into a train which was parked on the tracks. At the time of this article, NTSB is investigating the cause of the accident. Some people speculate that the trolley may have had a braking problem. Do I need a personal injury lawyer to be compensated by SEPTA? Unlike other types of personal injury claims, train accident lawsuits in Pennsylvania are especially complex and SEPTA falls under an act which limits their financial liability. This act, called the Sovereign Immunity Act, limits injury claims to $250,000 per person and caps the expenses to $1,000,000 per accident. Rail accidents are not always that cut and dry though and some accidents involving SEPTA overlap into other types of cases. Additionally, fast action is needed as the statute of limitations for SEPTA accidents is only 6 months. An experienced Philadelphia personal injury lawyer can look at every option available to get you the maximum amount of compensation available to you for your injuries. 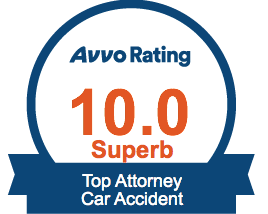 If you or a loved one has been injured in a SETPA accident similar to the one above, contact us today for a free and confidential consultation.